As useful as an ashtray on a motorcycle! Seeing that the paint is rough already. What about staying with a gnarly finish and lay truck bed liner on it? Huh, never really thought about that Steve. I talked my brother but he's still keen on a nice gloss black. 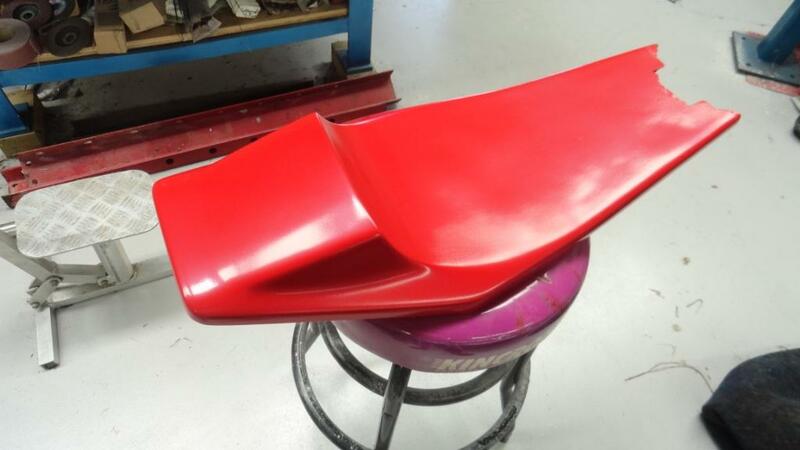 Got my seat colour coated in Commodore sting red. I now need to rub it back and then stripe it in orange with white pinlines and then clear over the top. I still need to finish a couple of repairs to the tank and then I can do the same with it. I also painted the frame in black enamel, and it came out quite good, I think. Tomorrow I will paint the swing arm in silver and then assembly can start, who-hoo, can't wait. Got some of the frame assembled today, forks in, swing arm and shocks in, handlebars on etc. I am still prepping the seat and tank for final spraying, then I have to rebuild the engine, but that's not a big deal. Hopefully I can get it close to finished before I have to go back to Vietnam. I now have a rolling chassis. I need to finish the tank and seat and then I can rebuild the motor and install it, then do all the wiring. Not too much left now. The weather isn't too good here at the moment so instead of painting I decided to pull the motor apart. 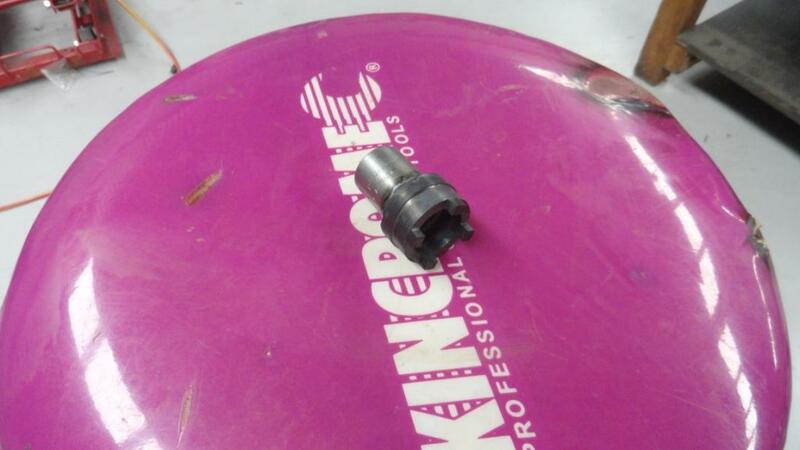 I removed the stator and then went to the other side and found I did not have a tool for removing the oil slinger, so I spent an hour making one up. I milled the slots out and then welded it onto an old socket and it worked fine. Once the cases were all apart I spent hours cleaning them up with degreaser and a power washer. They came up quite well, but I have a mate who has a water blaster so I might see if he can blast them for me. If I do that and they come up as well as I expect then I may just leave them bare, and paint the cylinder, head and sidecovers. I think that will look quite good. My favorite build on here right now! Awesome work I love all the handmade parts. Did you do the triples on a cnc mill or conventional?